Open call for the 2016 and 2017 years, of grants for Visiting Researchers at the University of Burgos, the University of León and the University of Valladolid in order to stimulate the temporary incorporation of teachers, researchers or professionals of recognized prestige. 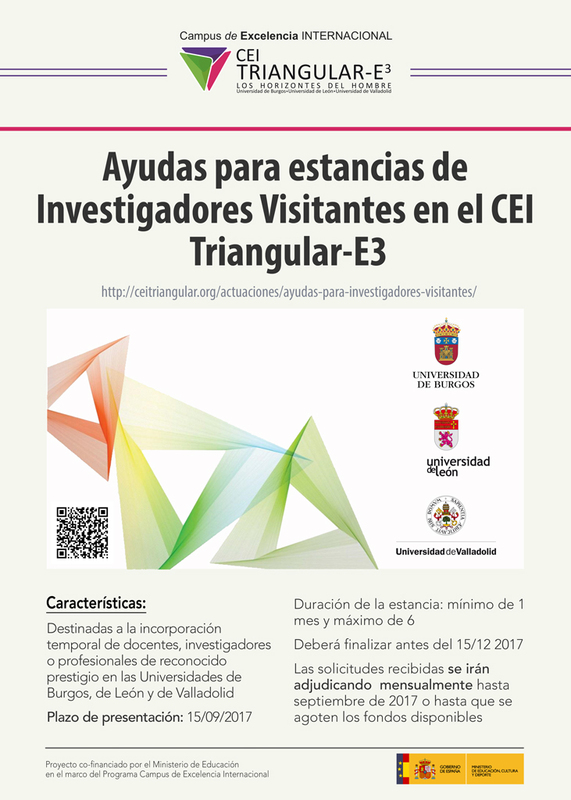 In order to boost the Visiting Researcher figure, support will be offered for stay and travel, so that it is more attractive to stay in the universities of the CEI facilitating their participation in research and teaching activities. The grants will be granted at the request of the Centers, Departments, Research Groups and University Institutes of the universities that are part of the Campus. The duration of the stay will be of a minimum of 1 month and a maximum of 6 non-extendable months and in a single period. The stay of the Visiting Investigator must be completed before December 15, 2017. The stays must coincide with periods of academic or scientific activity of the destination universities. In the form of aid for maintenance and accommodation, each beneficiary will receive 1,300 gross euros per month. 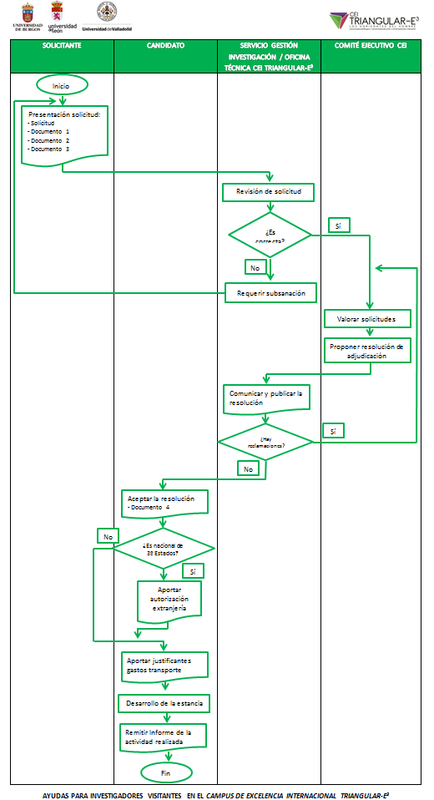 As an aid to transport costs, the amount actually paid will be paid by means of transport used with the limits established in the call. The deadline for submission of applications is 15 September 2017.